Outpatient Medical Center Inc. Board of Directors is pleased to annouce that Mr. Carl I. Walters, II has been hired to serve as Outpatient Medical Center, Inc.'s Chief Executive Officer. Mr. Walters will commerce serving in this new leadership role on March 1, 2017. Mr Walters brings over 27 years of For-Profit, Not-For-Profit and Federally Qualified Heatlh System (FQHC) executive leadership experience to the system. He has been recognized at the federal, state, and community level for his integrated healthcare delivery system fiscal, operational marketing, clinical outcomes and marketshare enhancement re-engineering expertise/accomplishments. Some of his recent executive assignments include serving as: Chief Executive Officer, Operation Samahan Inc (FQHC) President and Chief Executive Officer, Robeson Healthcare Corporation (FQHC) State Director, Residential Care Services and Clinics, Washington State DSHS (Long-term Care and Support Services) Vice President, Outpatient Services and Clinics, Mercy Medical Center (Critical Access Hospital) Chief Executive Officer, Tri-City CommunityHealth (FQHC) Chief Executive Officer, Alexian BrothersCommunity Services Division (PACE) Chief Operating Officer, St Louis Connectcare; (former St Louis Regional Hospital) FQHC lookalike Divisional Practice Administrator, Utah Physician Services Division Mr. Walters also brings a demonstrable and respected work history of stabilizing; expanding service capability/capacity and improving the sustained viability for the numerous FQHCs he has run to date. He also brings strong demonstrable business acumen for driving operational. fiscal, clinical outcomes, system utilization improvement and for strengthening FQHC stakeholder partnerships and community confidence. Mr. Walters holds a B.S. in Hospital Administration (Weber State University, Ogden, Utah) and a Masters Degree in Organizational Management (University of Phoenix, Ogden, Utah). He is a former U.S. Naval Officer (Medical Service Corp; Hospital Administration trained) with U.S. Navy outpatient medical clinic command experience. He is the eldest son of retired U.S. fighter pilot Major Carl I and Betty Walters. He and his wife Jennifer are the proud parents of Carl I. Walters III. and Brigettee' Bette' Walters. Dr. Tywanna Chisley is a board certified pediatrician and Fellow of the American Academy of Pediatrics with strong roots in the Tallulah area as she lived in Tallulah until she graduated from Medical School. She has been in practice for 13 years and has received numerous awards and recognition for her service. 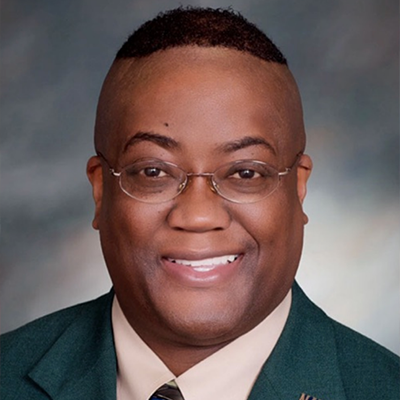 Dr. Chisley received a Bachelor of Science degree from Grambling State University and pursued a Master of Science degree from the former Northeast Louisiana University in Monroe, LA. Believing that her life’s mission is to help others reach their highest potential, she successfully completed her medical education at LSU Health Sciences Center in New Orleans, LA in 2002. In 2005, she completed a Pediatric Residency at the Blair E. Batson Hospital for Children in Jackson, Mississippi. She is active with Monroe Metropolitan Alumnae Chapter of Delta Sigma Theta Sorority, Inc. and thoroughly enjoys being of service to her community. In her spare time, she enjoys reading, spending time with her fur babies, traveling and watching football. Geaux Saints! Outpatient Medical Center would like to welcome aboard its new Dental Director, Dr. Cliff Davis. Dr. Davis left high school for university life at the young age of 16, earning a BS in biology from the University of California, Riverside in 1985. He was awarded his DDS degree from UCLA, which included an extra year of special study at the National Institutes of Health in Bethesda, Maryland. 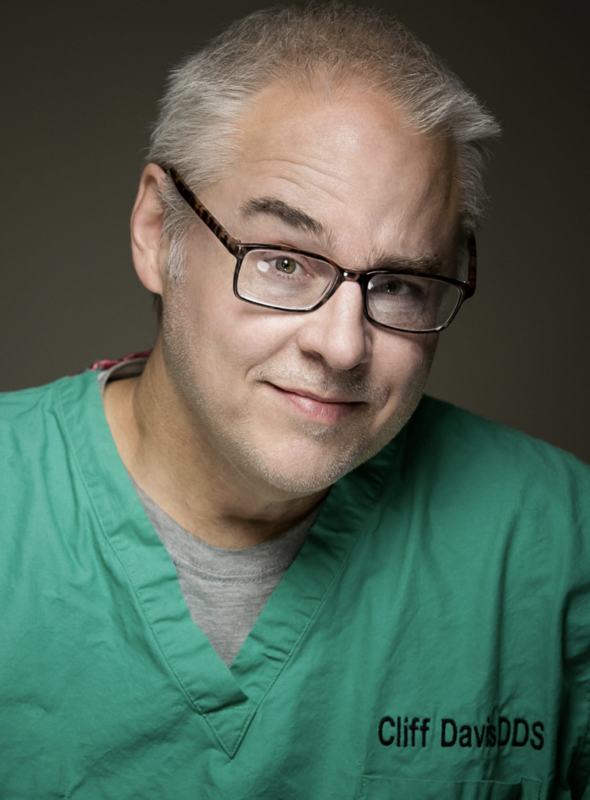 Since completing his General Practice Residency at the Veterans Affairs Hospital in New Orleans in 1999, Dr. Davis has served Louisiana’s underserved communities whether in private practice or in Federally Qualified Health Centers (FQHCs). Dr. Davis has previously served as dental director at FQHCs in Baton Rouge and New Orleans, and brings considerable vision and experience to Outpatient Medical Center, Inc. Dr. Davis enjoys spending time his family. His hobbies include building cars and motorcycles, and trying to play guitar. Chief Financial Officer Mr. Maxwell attended Indiana University where he earned a Bachelor of Science in Accounting. He later received his Master of Business Administration from Nova Southeast University. Mr. Maxwell’s professional life began as a commissioned officer in the United States Army as an Infantry Officer. While he was in the Army, Larry was issued and he maintained a Top Secret Security Clearance. Larry has vast experience as a Chief Financial Officer including Acadia Vermillion Hospital, BCA Permain Basin Hospital, and University Behavioral Health of El Paso, Texas. Larry is married and is raising his granddaughter. Ms. Nicole Roberson is a native of St. Martinville, La. and a graduate of St. Martinville High School. Ms. Roberson later earned a Bachelor’s of Science in Health Information Management from the University of Louisiana at Lafayette. She later earned a Master’s of Business Administration from The University of Phoenix. 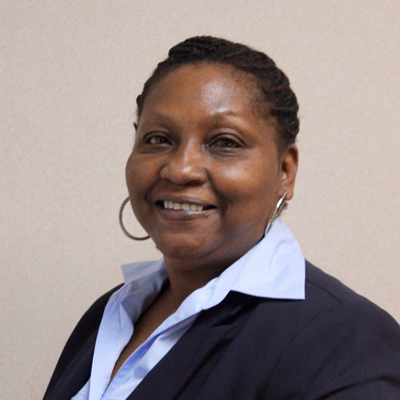 Ms. Roberson has served in the Federally Qualified Health (FHQC) System for over twenty-one years while meeting the needs of the community through health center management. She is a goal-driven performer who has produced positive results over the years. She possesses the leadership and communication skills necessary to produce favorable outcomes. Ms. Roberson’s wealth of experience working in community health centers has resulted in numerous community health centers in becoming The Joint Commission and PCMN accredited. 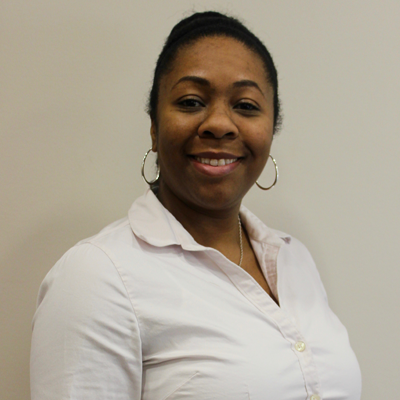 In her free time, Ms. Roberson enjoys spending time with her husband and daughter. 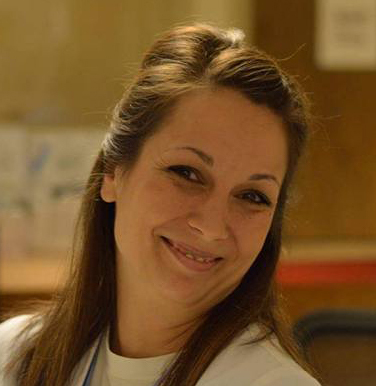 Heather Bynog brings a wealth of nursing expertise and experience to Outpatient Medical Center, Inc. She earned her LPN from Louisiana Technical College at Alexandria in 2004. She earned her Associate of Science in Nursing in 2010 and her Bachelor of Science in Nursing in 2012, both from Northwestern State University of Louisiana. In 2018, Ms. Bynog earned a Master of Science of Nursing from Purdue Global University. 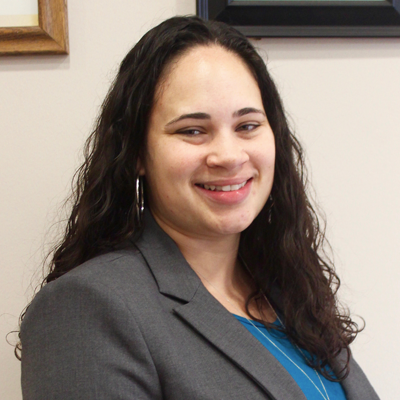 Ms. Bynog was born in Columbus, Ohio, raised in Alexandria and Pitkin, Louisiana, and graduated from Pitkin High. As a teen, Heather connected with an elder family member who suffered from Alzheimer’s disease. Even in her advanced state, this family member seemed to connect with Heather alone. She would only eat and drink at Heather’s coaxing. This experience ignited Heather’s love of Nursing. Heather is a Christian, mother of three, and a wife. She spends a great deal of her free time with her family. She volunteers at her church’s homeless shelters through the SEVEN Ministry. The SEVEN Ministry, which helps those with all manner of struggles. In her free time, Heather enjoys spending time with her children and husband whether it be doing things around the house or getting out and about and participating in recreational activities such as swimming, basketball, running, and general exercise. Ms. Lockhart is a native of Northwest Louisiana and attended high school in Campti. Julie earned a Bachelor’s Degree in Accounting from Northwestern State University. 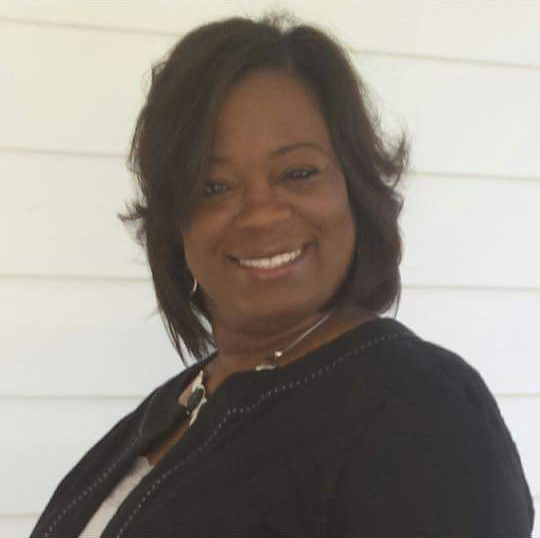 She has worked for several Louisiana companies before coming home to work at Outpatient Medical Center, Inc. Ms. Lockhart became an accountant because in her mind, numbers are constant; they balance and tell a “true” story. She finds joy in hard work and being part of a team. When not at work, she enjoys being outdoors experiencing the world in which we are blessed to live. Her primary long-term goal is to remain healthy and happy and enjoy time with children and grandchildren. Mrs. Tejuahna Canada hales from McGehee, Arkansas. She earned a Bachelor’s of General Studies, with an emphasis in Business Administration from the University of Arkansas at Pine Bluff. She later earned a Master’s Degree in Human Resources from Webster University in Little Rock, Arkansas. 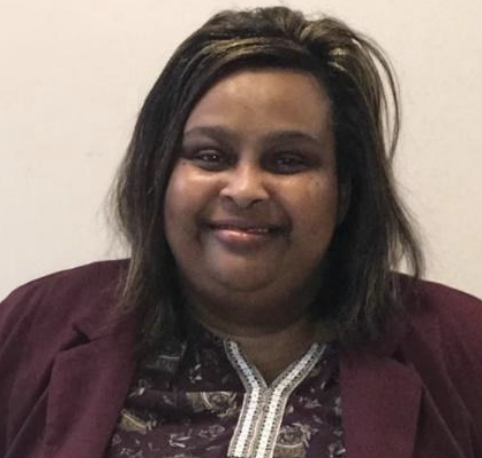 The ability to help others and work with people from different backgrounds has motivated Tejuahna to become a career human resources professional. Mrs. Canada is guided by her faith in God and a strong desire to help change lives in a positive manner. This desire is what makes her a strong fit at Outpatient Medical Center, Inc. In her spare time, Tejuahna enjoys spending time with family and friends, as well as reading inspirational books and writing. Bachelor of Arts in Sociology form Northwestern State University 1971 Masters of Arts. in Rehabilitation Counseling from Northwestern State University 1975 Masters of Social Work Louisiana State University 1982 LCSW License since 1985 Begin Work at OMC in October , 2011 Prior to working at OMC I was a School Social worker, worked for Natchitoches Parish School Board 33 years. Served as a school based social worker, Pupil Appraisals Evaluation Social worker, Coordinator of Pupil Appraisal Services and finally worked as Supervisor of Child Welfare and attendance. Retired in July 2004 I also Worked as a Licensed Mental Health Professional for a Mental Health Rehabilitation agency from 2004 to 2009 I also served as a Mental Health Professional and Consultant for Natchitoches Head Start Program from 1974 to 20005 I worked as a Home Health Social Worker I am Treatment Director of the 10th Judicial Juvenile Drug Court Program from 2009 to Present. I served as an Adjunct Professor of Social Work at NSU form 2010 to 2012 At OMC, I am currently the Chief of Behavioral Health Services. I Supervise employees providing behavioral health services to patients . I also provide direct behavioral health services to patient. I serve on the leadership and executive team to ensure that all behavioral health policies, procedures and programs are implemented as required for this FQHC. I do not speak any foreign language I have many years of working with many and varied cultures, having been a school social worker, mental health provider , home health provider, working with the criminal justice system . I have worked with families from all walks of life and with various cultural backgrounds and languages. I have always found a way to communicate and help the people that I have worked with. My reputation in the community speaks for itself. Crystal Armstrong is the Director of Nursing for the organization. She began her career at Outpatient Medical Center, inc. June of 2013. 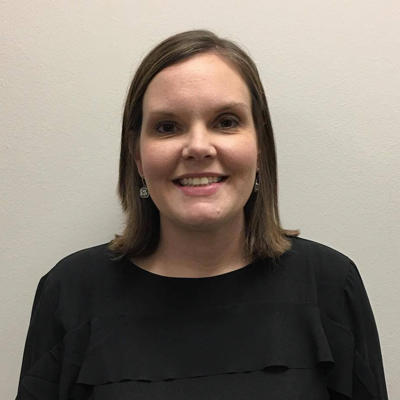 Prior to joining the OMC team she attended Northwestern State University where she obtained an Associate Degree of Science in nursing (2013) and Bachelors Degree of Science in Business Administration (2006). Ms. Armstrong has assisted the organization in re-gaining the Center’s Joint Commission accreditation by directing a validation process with stringent controls that established firm compliance. In addition she has worked tirelessly with the leadership team in efforts to become PCMH accredited. Coming from a long line of nurses Mrs. Armstrong is committed is serving the community and providing the best possible care to all. Outpatient Medical Center, Inc. welcomes Mr. Vernon Mills, Sr. to the team as a Certified Compulsive Gambling and Addiction Counselor. Mr. Mills is a 1981 graduate of the University of Louisiana, Monroe. Mr. Mills has vast experience in the area of addiction counseling throughout the state of Louisiana. Mr. Mills has served as the Director of the Louisiana Supreme Court, 10th Judicial District Adult Drug Court Program. He has also served as the Director of Pre-Trial Intervention Diversionary Program. Mr. Mills is now bringing his passion and expertise in drug addiction counseling to Outpatient Medical Center, Inc. This outstanding community organization is presenting the opportunity to help those not qualified for 10th JDC Drug Court Program to reclaim their lives. Mr. Mills will be practicing in Natchitoches Monday 1 PM to 5 PM, Tuesday and Wednesday 9 AM to 1 PM, Thursday 9 AM to 1 PM, and Saturday 9 AM to 1 PM. Mr. Mills will also be seeing patients in the OMC, Inc. Leesville location on Fridays 9 AM to 1 PM. 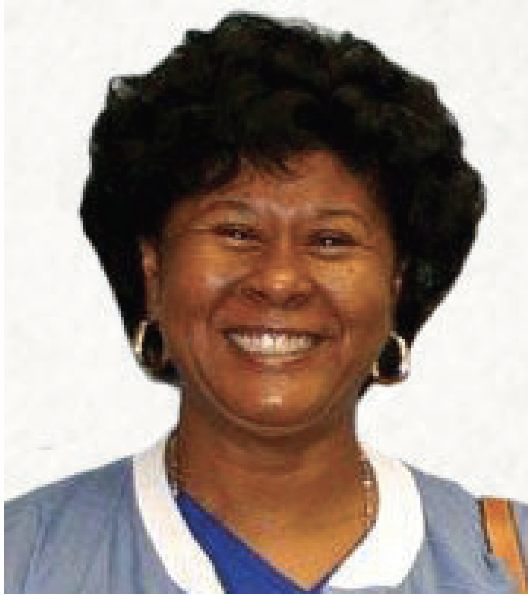 Ruby Mitchell is a part of the Senior Leadership Team and holds the role of Site Coordinator at (Natchitoches) Outpatient Medical Center, Inc. As the Site Coordinator Mrs. Mitchell ensures that all day to day operations run smoothly in the Natchitoches clinic. Prior to accepting this position Mrs. Mitchell has filled the roles of Patient Account Representative Supervisor, Billing Supervisor (certified coder), and Interim CEO. She began her career within the organization in 1981. During this time she has assisted with helping the organization maintain its accreditation through Joint Commission. In addition Mrs. Mitchell assists with operational infrastructure development, strategic planning, policy and procedure development, and collecting data for the process for obtaining PCMH Accreditation through NCQA. Her time with the organization shows evidence that she is dedicated to our mission and the community we serve. De’Marquis Hamilton currently serves in the capacity of Site Director within OMC Inc.’s Leesville Health Center. 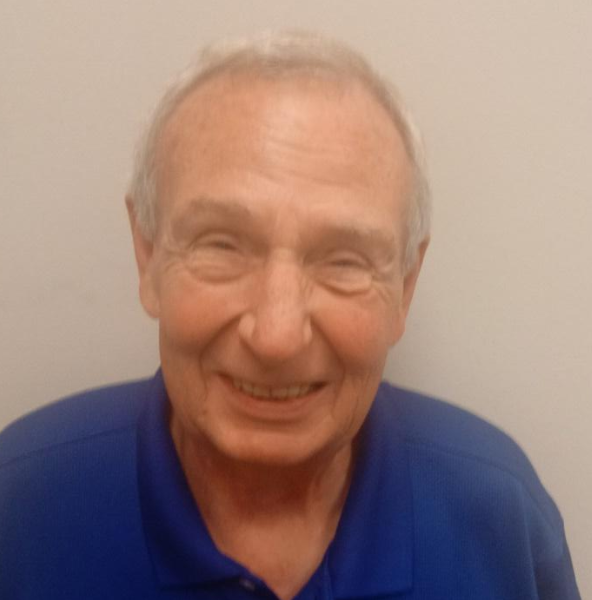 Originally hired to serve as the Billing/Patient Registration Services Director, Mr. Hamilton soon entered into the role of interim Site Director at the Leesville Health Center and has since been awarded this position in a permanent capacity. Mr. Hamilton oversees all day-to-day operations within the Leesville Health Center which renders services that include that of primary care, dental, and behavioral health services in addition to outreach and enrollment services for the underinsured and uninsured population. Mr. Hamilton also serves as OMC Inc.’s Safety Officer and Chair of the Emergency Preparedness Committee, responsible for ensuring Emergency Preparedness guidelines for the corporation remain up-to-date as well as monitoring safety issues within the organization. He has also recently been yielded the responsibility of ensuring the corporation remains compliant with OSHA guidelines. He holds a Bachelor of Science in Biology; Master of Science in Health and Human Performance with a Health Promotion concentration; Master of Arts in Adult Education with a concentration in Continuing Education, all from Northwestern State University; and having completed all necessary coursework required, is currently in the dissertation phase of a Doctorate of Education in Organizational Leadership with an emphasis in Organizational Development and concentration in Healthcare Administration at Grand Canyon University. 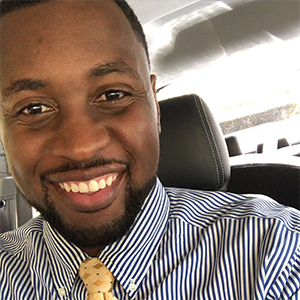 As a resident of Natchitoches who received care from OMC Inc. as a child, Mr. Hamilton is passionate about ensuring everyone receives suitable healthcare regardless to their race, gender and/or socioeconomic status. He is eager to help OMC remain a viable healthcare facility not only in Leesville but all locations being served in addition to expanding said services. DOB:05/10/1973 Qualification: MBBS (India), MD (US) Completed schooling in India. Graduated from Grant Medical School, Mumbai, India in 1997. Went on to complete post-graduation in Dermatology in 2001. Subsequently practiced as Dermatologist at private clinics in Mumbai, India and then in the southern Indian state of Kerala. Worked briefly as a instructor in Dermatology dept at Cooperative medical college in Kochi, India. Moved to US in 11/2005. 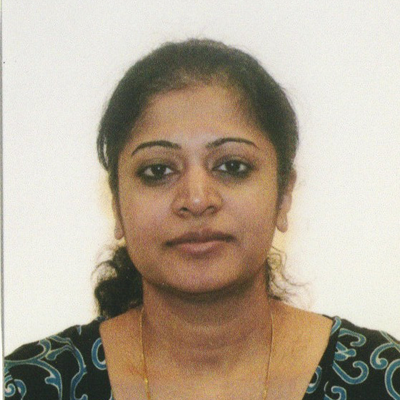 Completed USMLE steps in 2007 and clinical observership at Emory University hospital in 2008-2009, voluntary research position at Winship Cancer Institute, Emory University from 2009-2010 before joining residency in Internal Medicine. Graduated from Internal Medicine Residency from University of Tennessee College of Medicine Chattanooga in 2013 (2010-2013). Completed Fellowship in Infectious Disease from University of Texas Medical School at Houston in 2015 (2013-2015). 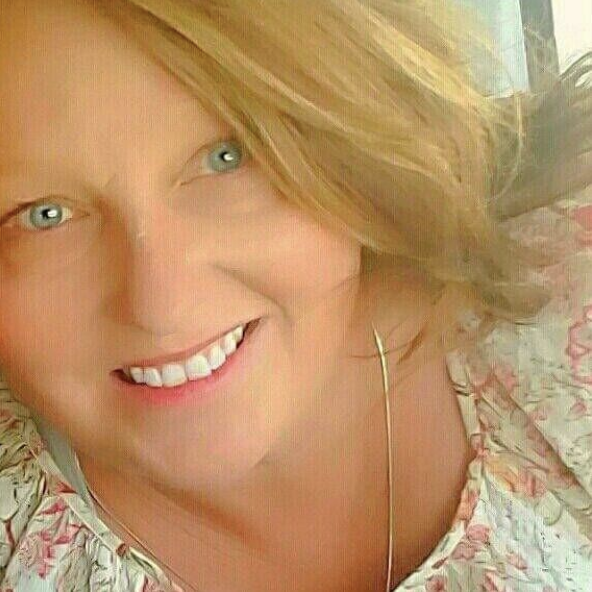 Started working as Physician (Int Medicine/Infectious Disease) with Lubbos Medical Clinic/Byrd Hospital- 8/2015 through 3/2015 Transitioned to Byrd Medical Clinic from 4/1/2016 through 2/2017 Started working at Outpatient Medical Clinic from 5/15/2017 ABIM Board certified: IM (2013), ID (2015) Licensed to practice in State of Louisiana Specialty: Primary care including care for diabetes, Hypertension and other medical problems, minor dermatological conditions. Infectious diseases including osteomyelitis, HIV, hepatitis and others. Dr. Virginia Bates received her B.A. from Boston University in 1978. She received her Doctorate of Dental Surgery from Meharry Medical College in 1978. She went on to complete her Dental Residency at New York City Health and Hospital Corporation. She has been and remains a member of the National Dental Association and the Louisiana State Dental Pelican Society. Dr. Virginia Bates practiced in New York prior to relocating to Louisiana, having practiced in the state since 1982. 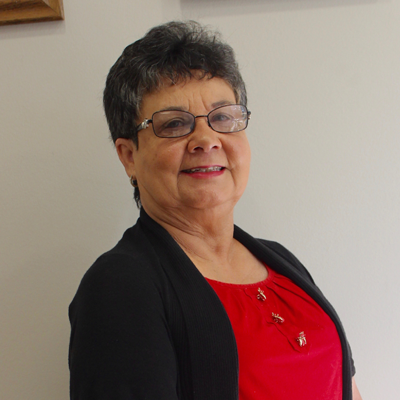 She joined Outpatient Medical Center, Inc. in 2007 where she remains one of the only Medicaid/Medicare dentists serving the Vernon parish community. To accompany her care and passion in the field of dentistry, Dr. Bates also enjoys giving back to the community through charitable work done through Alpha Kappa Alpha Sorority, Inc. I was born and raised in Warren County Mississippi, where I raised my three children. I went to Hinds Community College for my Associate Degree in Nursing in 1993, where I received my Associate Degree in Nursing. From there I went directly into my program for my BSN at University of Mississippi School of Nursing. I received my BSN and MSN from there in 1999. I have been nursing since 1995 and practicing as a mid-level provider since 1999, primarily in a rural health environment. I am passionate about my role as a nurse practitioner and believe in partnering with patients to obtain the best outcomes possible for them. While not practicing in my practitioner role, I find great joy sharing time with my family and, especially, my six grandchildren! We love cooking, gardening, and creative renovations of properties and odds and ends found on the roadside. I am very excited to become one of the family of the caring, professional team at Outpatient Medical Center! My name is Mary Katherine Lancaster and I was born and raised in Natchitoches, Louisiana. I graduated with a Bachelor’s of Science in Nursing degree from Louisiana State University School of Nursing in New Orleans, LA. I have been a Registered nurse for over ten years. I graduated as a Family Nurse Practitioner from Northwestern State University in Natchitoches, LA. I have been a family nurse practitioner for over two years. I am married and have three children and when not working I enjoy spending time with my family. 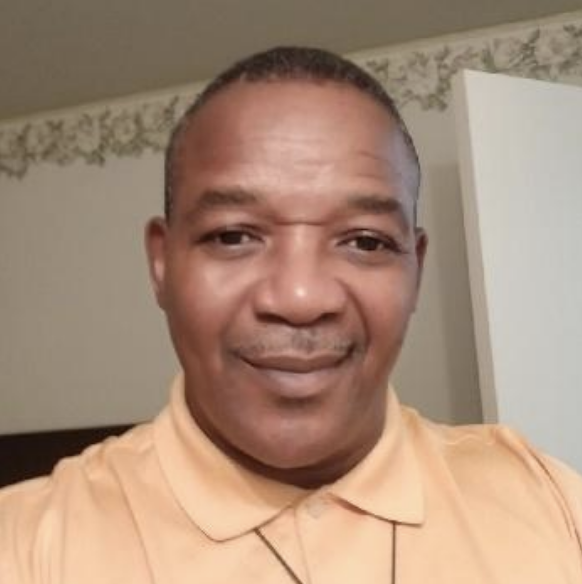 LaTwana Matthew is a Shreverport, La native conveying over 11 years of nursing experience and has been a Board Certified Nurse Practitioner since 2016. 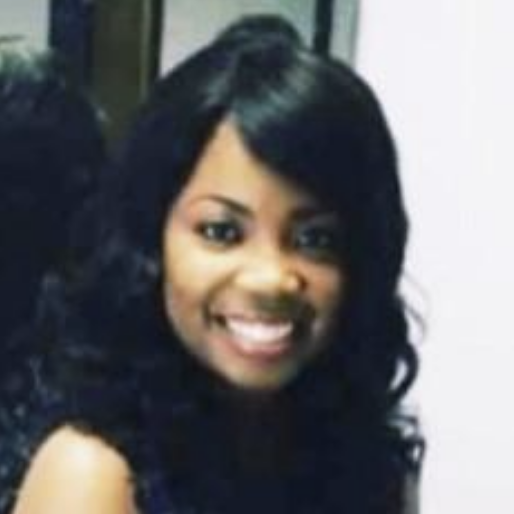 Ms. Matthew received a Bachelor’s of Science in Nursing from Northwestern state University and her Masters of Science in Nursing from Grambling State University. Her medical background includes family practice, emergency medicine, post-surgery care, and conditions of the cardiovascular/pulmonary systems. 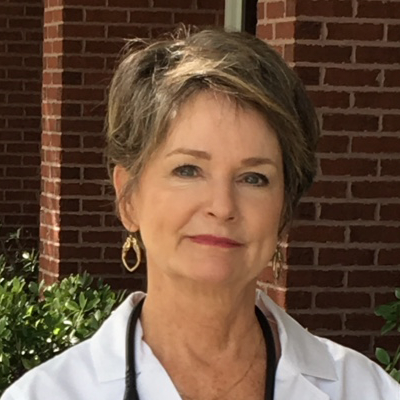 Ms. Matthew belongs to two professional organization, AANP (American Association of Nurse Practitioners) and LANP (Louisiana Association of Nurse Practitioners). She is the mother of one and loves traveling. “You must take care of yourself in order to be healthy enough to care of anyone else”. Brittany Procell was born and raised in Natchitoches, LA where she and her husband, Aaron Procell, resides with their two boys, Ryan and AJ. She is a devoted Christian with a heart to be serve God's children in the community. They all are active members at Robeline First Baptist Church serving in Sunday school, small groups and missions. She completed her studies locally at Northwestern State University receiving Bachelors of Science in Nursing December 2009 and Masters of Science in Nursing May 2013. She worked as a RN at St Francis Cabrini Hospital for four years in Med-Surg, Oncology, and Telemetry. Upon APRN certification, her journey as a Family Nurse Practitioner (FNP) began at Outpatient Medical Center in August 2013. Her past and present experience as a FNP includes but not limited to acute care, chronic disease management, long-term care, Women's Heath, Inpatient and Outpatient services. 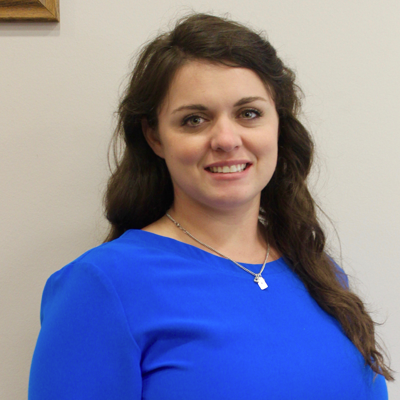 She currently sees patients at the Natchitoches and Leesville locations.